You are always welcome at UU Church of Meadville. We are embracing of many beliefs, welcoming of all genders and sexual orientations, and increasingly accessible to people of all abilities. Interested in our progressive programs for children and youth? Explore our trans-formative curriculum, that invite questions, imagination and acceptance.We also offer opportunities for adult faith development. Seeking community or need support? Check out our weekly B&B newsletter and our caring connections pages for opportunities. We change lives for the better. 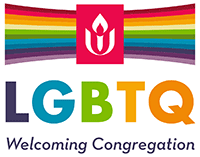 Visit us and ask congregants about the acceptance, transformation, and happiness they have found at the UU Church of Meadville.